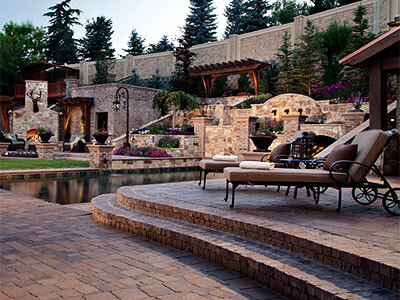 LR Landscaping & Pavers has the capability and experience to design and build outstanding outdoor living areas. We have decades of combined experience in the hardscaping industry, so we know how to create the perfect outdoor features for our California clients. Our portfolio includes some of the excellently designed outdoor living spaces in Sacramento, Auburn, Roseville, Folsom, Citrus Hrights, Rancho Cordova, Rocklin, Lincoln, Fair Oaks, Yuba City and surrounding areas. For years, we have never failed in providing clients with professionally designed and built outdoor living areas. We have a creative team that can realize your dream outdoor amenities. All the features that we will include in the design plan are well-thought-out to maximize the functionality of the space. We also ensure its aesthetic appeal by creating a custom design that reflects your personality and lifestyle. The outdoor living areas that we have built for countless California clients are known for their durability and long-lasting quality. We can build this kind of feature by using only premium grade materials from trusted suppliers and manufacturers. They are also installed by our highly skilled and well-experienced crews who have worked on numerous outdoor improvement projects before. Our use of modern tools and equipment is another factor why our structures can last for decades. In fact, the outdoor features that we built years ago for our St. Charles clients are still in their prime conditions today. Outdoor Kitchens: We can build a simple outdoor kitchen or a fully furnished one, depending on your needs. It will be fitted with your desired features, such as grills, ovens, large sinks and storage areas, rotisseries, dining tables and chairs, modern kitchen appliances, and the like. We can also add shade structures to make your cooking experience more relaxing and fun. Patios: We can build an elegant paver patio complete with your desired amenities. You can choose the roofed type if you want to use it any time of the day. It can serve as an extension of your indoor living since we can add a sofa set, shelves, custom lighting, fire features, and other fixtures. Meanwhile, you can just opt for the open-type patio if you have a limited budget. Pool Decks: a pool deck is one of the outdoor living areas that we build on a regular basis. They choose us because of our ability to dramatically improve the functionality and aesthetics of their pool areas. Aside from the attractive pavers that we use, we also recommend adding other amenities, such as outdoor umbrellas, lounge chairs, fire features, and BBQ grills. Gazebos and Pergolas: Wood elements are perfect additions to a landscape. They can also serve as an outdoor living space when professionally and strategically built. You can hire us to build a gazebo or pergola, depending on your preferences. Hire an experienced contractor like us at LR Landscaping & Pavers to get your desired outdoor living areas. With us, you are assured of quality workmanship, excellent designs, and client-friendly rates. Call 916-502-6037 today.